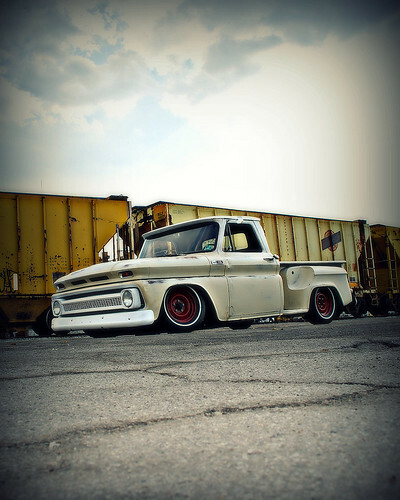 This is for bagged 60-66 trucks only! 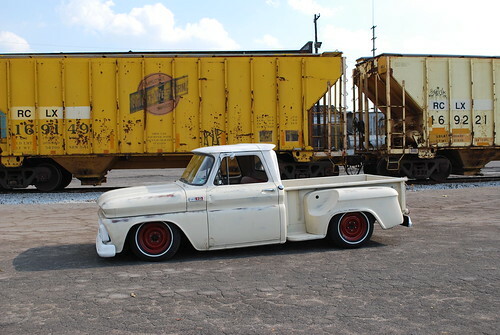 The Staff is trying to compile a thread that covers pics of bagged 60-66 trucks. Post pics and details, or links of older threads that you have bookmarked. Here's my mildly bagged suburban. It was bagged about 10 years ago before all this fancy stuff now. 96 injected LT1, 700R4, 4 wheel disc brakes. Here is a link to mine! Your's is a personal favorite of mine. Hey, thanks man! That means a lot with the caliber of trucks on this site. Malibob, I remember seeing your old truck at the Blue Suede Cruise. Any plans to take the new one this year or maybe Good Guys Columbus? Yeah, that was a very fun car show. I will probably end up bringing it to Columbus but may have to bring the Bel Air. The way BSC is scheduled it interferes with something else now so probably wont be able to make that one. "Do what you want to the girl, but leave me alone!" 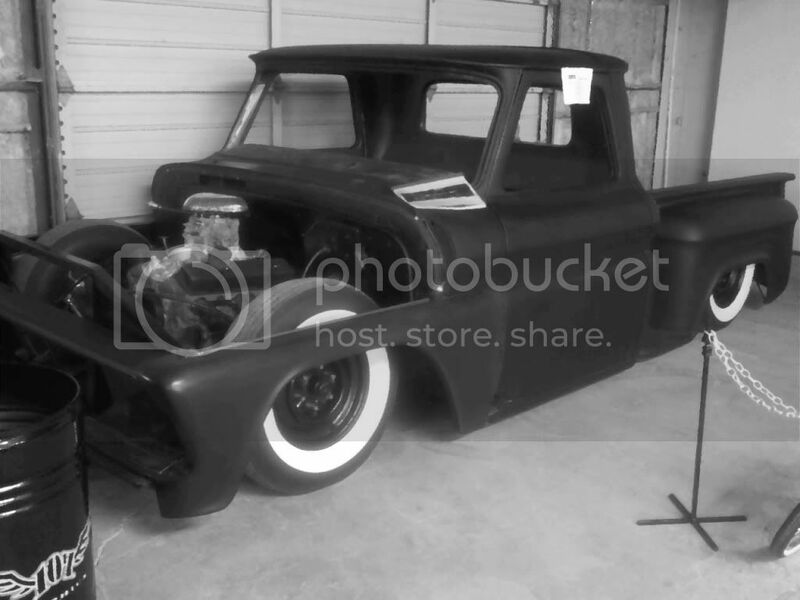 here's the one im putting together now for a daily driver. 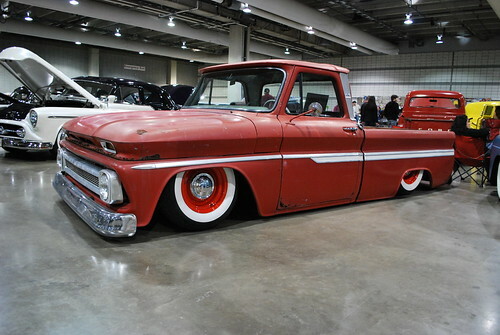 Looks like a cool truck. You gotta start a build thread so we can follow your progress. Thanks dino! U got good tatse in trucks I always dug what u came up with. I was actully at ur house once back in o7? When I worked for squeeg's. Project 64: from long to short bed, 4 linked with Johnny joints, boxed frame and dimple dyed... Need to relocate front shock brackets so the front lays down. rear will sit on the ground but put in 2" bump stops for now.. I installed a BC Fab stage 1 kit last weekend on my truck - no c-notch (at least for the time being) but 2.5" drop spindles up front. Please add any related specs also. 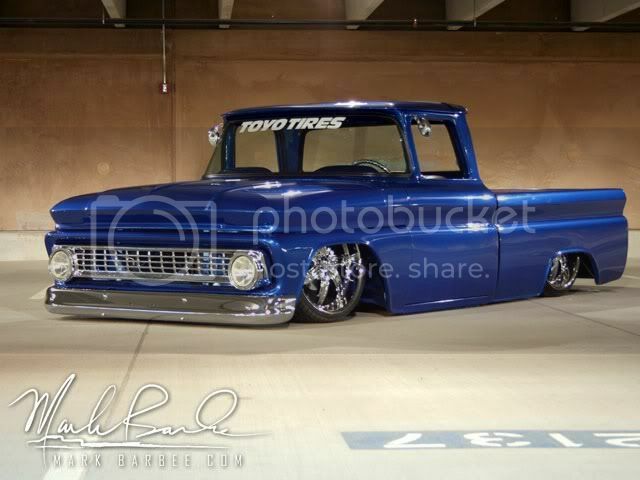 63' Chevy with full Porterbuilt front & rear dropmembers, Accuair Vu4 manifold valve. Here are a few shots of mine, old and new. Thanks man, it is a blast. Scared the shlt out of myself a couple of times in it but that just makes it more fun. Hopefully this snow shlt gets over with pretty quickly. Waiting on Dino and the rest of the 60-66 gang to blow this thread up......Lets GO!!!!!!!!!! !